Since the formation of the union half-century ago, the UAE had an auspicious journey of development. The huge leaps our country achieved in all fields and the efforts it took to promote a cultural coexistence along with empowering various groups from the society, got a global appreciation and became a role model to follow. The story of the local success is not an offspring of money or oil, but its chapters were written by the dedication and determination of all Emiratis. The prosperity and stability that we are living today reflect the will and wisdom of the founding fathers, led by the late Sheikh Zayed bin Sultan Al Nahyan, known as the Father of the Nation, who believed that “Impossible is nothing” in the dictionary of the UAE. Together, they have built a vibrant nation filled with sincerity and hard work to create a well-off future for all children and grandchildren. 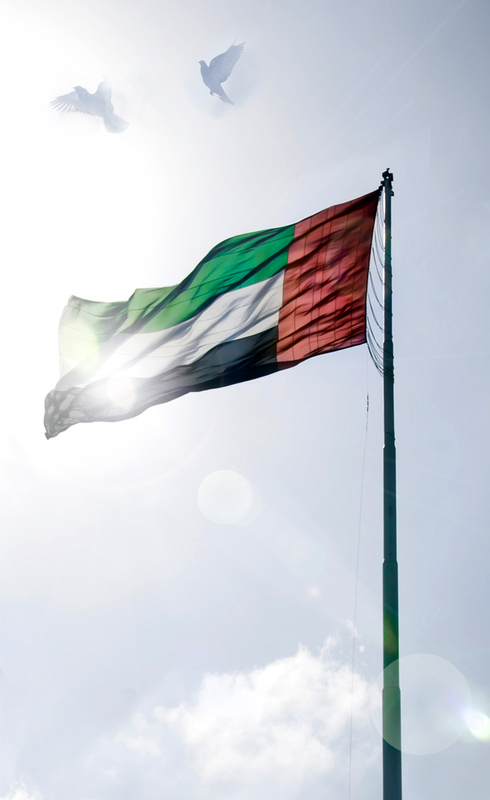 Today, UAE is the most prosperous and stable country providing dignified living to its citizens. It is also considered as an International hub for tourism, business, and creativity gathering over 200 nationalities from different religions and cultural backgrounds. Every day, there’s an initiative or accomplishment that meets the needs of all people living in UAE and overwhelms them with happiness & success. Following the vision of the founding fathers, UAE undertook several successful steps to promote innovation & excellence. It continues its efforts to achieve sustainable development to make UAE a diversified and knowledge-based economy, and to empower its citizens with education, strong economy and creativity. These endeavors reflect the vision of Highness Sheikh Mohammed Bin Rashid Al Maktoum, Vice-President and Prime Minister of the UAE and Ruler of Dubai, to make UAE the leading and global hub for the fourth industrial revolution. The UAE has launched several ambitious strategies and initiatives, which all emphasize on placing our nation among the top countries of the world, providing a dignified life for people and prioritizing their happiness. UAE Vision 2021 was launched with the aim to make the UAE one of the best countries in the world by the year 2021 when the UAE would celebrate the Golden Jubilee of its formation as a federation. To measure the progress of achieving the National Agenda priorities, a set of national indicators were identified in the sectors of healthcare, economy, police and security, housing, infrastructure and government services. UAE government approved the National Strategy for Advanced Innovation on February 2018, which will focus on key and vital sectors for UAE’s future. The new strategy represents the updated version of the National Innovation Strategy and establishes a new phase where people start focusing on the sectors of quality of health, living, transportation, future skills, environment and water, and development of space industries. The strategy aims to develop a type of thinking that encourages experimentation and taking well-thought-out risks within the government and private sectors, in order to achieve the goals of UAE Centennial 2071 towards making the UAE the best country in the world with excellence in education, economy and community happiness. The plan reflects the visionary foresight of H.H Sheikh Mohammed bin Rashid Al Maktoum, UAE Vice-President and Prime Minister and Ruler of Dubai, which aims to instill the culture of excellence in Dubai, and promote its reputation as a vibrant and sustainable multicultural society that share a set of core civic values including tolerance, and personal responsibility. Our passion at Takaful Emarat about offering our customers world-class products and services, stems from our desire to serve the community and people of the UAE. Since we started in Dubai, we explored the latest technologies in an innovative and unprecedented integration with the concept of Takaful insurance, aiming at providing leading Takaful products. The UAE became a source of inspiration for many people around the world. We, at Takaful Emarat, built our ambition from the vision of our wise leadership, which is dedicated to rank the UAE among the top in global competitiveness. We evoke the preach of our country’s founding father, the late Sheikh Zayed bin Sultan Al Nahyan, to UAE people, that the concept of citizenship means loyalty to the nation, commitment to the hard work, and excellence to provide the best. Forming Takaful Emarat for Shari’a compliant insurance solutions came in line with Dubai’s aspirations to be the global capital of the Islamic economy, as it created history by being the first in the world in establishing Islamic banks and financial markets that operate in accordance with the provisions of Shari’a. We are proud of our success in the UAE, the country that stimulates innovation and provides a chance for everyone. We are all grateful to the UAE, the land of generosity, which empowered us to be creative and inventive, and taught us how to create our success story where the impossible does not exist. As the UAE prepares for the fourth industrial revolution and looks for shaping the future, we share the same vision that our government has, which is to be the number one. We are committed to do our utmost to contribute to achieving UAE’s objectives of sustainable development, transition to the knowledge-based economy, and promotion of happiness and well-being in the society. We will continue to innovate and dedicate our efforts to provide leading Takaful products and outstanding customer service. We will also be in constant pursuit to attract national competencies to work with us. We will support and motivate them to unleash their potentials to share with us the journey of success, hoping that our beloved UAE will always be at the center of the present and the future.